All Dogs are welcomed. Very Reasonable rates. Dogs will be walked and cared for in rain or shine. Exceptions for long walks: Thunderstorms/Bad weather. Any Special Needs are Flexible. Will need to talk about during a consultation session. We will gather your pet(s) information, routine, illnesses, needs and expectations. If a Meet & Greet is done , and our services aren’t scheduled for use, the Fee is $25. We will need you to have 2 sets of working keys ready for us at the Initial Consultation. One set is for your primary pet care provider and one set is for the office, in case we need to send a back up sitter or in the event you are locked out. 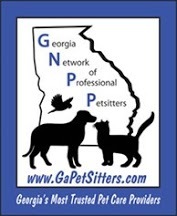 Regular pet sitter/customer consultations are $25.00. Are you working during the day and won’t be home before 5 PM? Mid- Day walks are wonderful for dogs. Hire us to come give your pet a daily release of pent up energy. Mid-Day Walks can also save you money , the more days you schedule weekly, the more you save. These prices are for Monthly Regular Clients. 10-15 minute Drop In visits (short walk or turn out) start at $15 for the first pet and $3 per additional pet. Dog-sitting services include walking, clean up during walks or in yards, feeding and watering, play time and cuddle time and medication administration if needed. Rates start at $25 per dog. There will be a $3 charge for each additional dog. Puppies are a lot of work. Let us help you crate train, potty train, and command train them while you are at work for 8-10 hours a day. We have raised puppies and not only are experienced, but can give you some great suggestions as well to help you make a smooth transition as a new pet mom or dad! Rates start at$30 per dog. There will be a $5 charge for each additional puppy. We also provide pet-sitting services to those who have both a dog and a cat. The rates start at $30 to have both pets. We charge $3 for each additional pet that needs services. 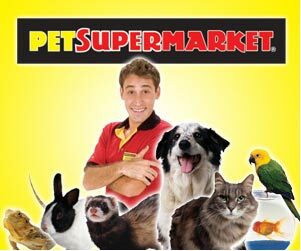 Exotic animals include hamsters, rabbits, ferrets, birds and pot-bellied pigs. (Yes, that’s right, pot-bellied pigs). Services include feeding and watering, litter box maintenance, pet play and cuddle time and medication administration if needed. Rates are $19. We prefer to have two copies of your key on file in our safe at all times to better service you and your pets, but if you prefer for us to come and pick up the key and then drop it off (other than the initial free consultation), a fee applies to cover our gas and our time. If you find you have locked yourself out of your home, but don’t want to pay the big bucks to have a locksmith let you in, your Happy Walk Happy Dog will make the trip and let you in (as long as we have your key on file in our safe). An additional $10 per visit for the following holidays: Easter, Memorial Day, July 4th, Labor Day, Thanksgiving, Christmas Eve, Christmas Day , New Years Eve & New Years Day. Unless other arrangements have been made, payment is expected in full before the visit. Any extra charges that accrue during the visit will be billed at the end of the visit and are expected to be paid within 2 weeks. Invoices will be sent for the total and total is due during the 1st visit. Failure to make a payment may result in an interruption of services.